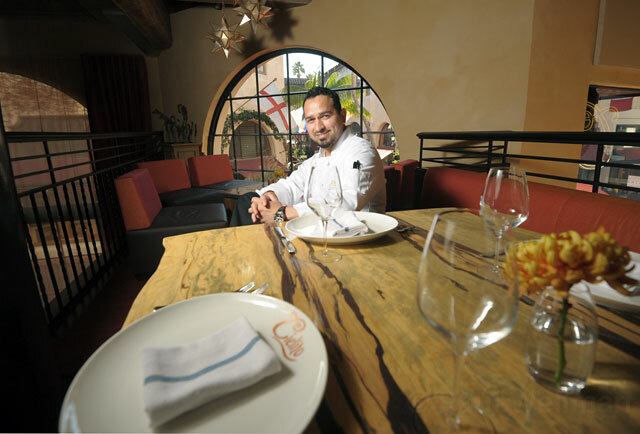 Chef Ramon Velazquez of Cielito. Diners at Cielito get both the refined setting and the antojitos. The old Acapulco/Stateside space has been lovingly gussied up, down to details like beautiful star-shaped light fixtures imported from Tlaquepaque in Jalisco, Mexico, and you are greeted by a copper oyster bar as you walk in, but that’s a culinary statement, too. Velazquez’s years at Arigato made him fond of fish, and Cielito will make you favor the finned and shelled, too, what with a tomatillo-habañero salsita for those oysters, or three very different and delicious ceviches. Get starry eyed at Cielito Restaurant, 1114 State Street (in La Arcada), (805) 225-4488, cielitorestaurant.com. The Cielito Taqueria has its own Web site at cielitotaqueria.com.